Pressform provides a total component solution from the smallest custom part to complex, welded structures up to 10 tonnes. 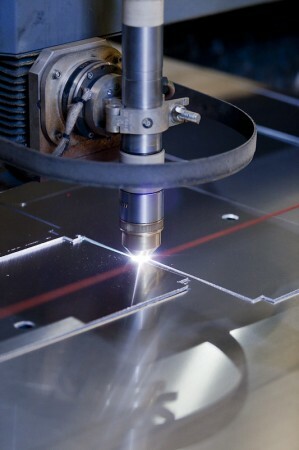 We offer all forms of welding, laser & plasma cutting, rolling, CNC punching and perforating, bending, stamping, hot forming, CNC machining, milling and profiling and we work consistently in all metals. We design, build and maintain all our tooling in our own factory which ensures our products are high quality and cost effective. – Post production finishing services: Sand Blasting, Rumbling, Painting, Powder-coating, Galvanising, Anodising, Electroless Nickel, Zinc or Chrome Plated. No one knows metal like we do. We have a highly experienced in-house Metallurgist, so we work confidently and consistently with all materials including austenitic & ferritic stainless steel alloys, nickel alloys, copper, brass, aluminium, and carbon steels (including forming, high tensile & boiler grade). We provide a cost effective delivery service with our Hino Truck with 8.2 tonne load capacity & 7.6 x 2.5 metre tray.